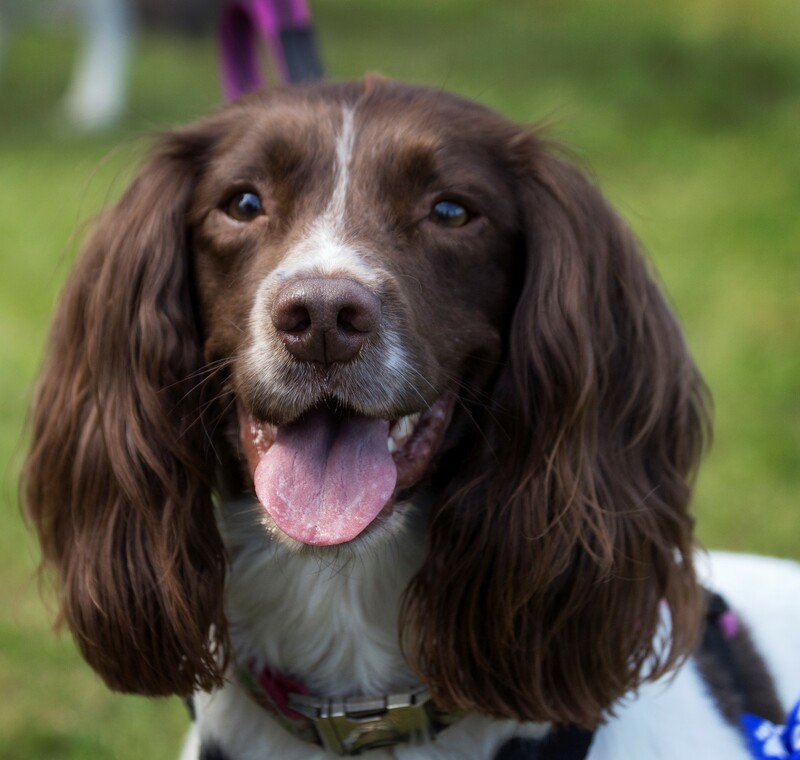 We take our job of looking after your pet's needs very seriously and to ensure we provide the very best service we undertake continuing professional development to keep our knowledge up to date. With over 25 years heavily involved in the many aspects of the dog world, I have been privileged to share my life with dogs, fortunate to have been able to learn from some of the world leaders in canine behaviour and to work in a role that gave me the knowledge and expertise to teach others. I am a qualified Dog Training Instructor and Coach, a fully qualified Learning professional and I am on the staff of the Institute of Modern Dog Trainers (IMDT). I am a Full Member of both the IMDT and Pet Professional Guild and one of only three Certified Fear Free Professionals in Scotland and an Affiliate of the ISCP (International School for Canine Professionals). 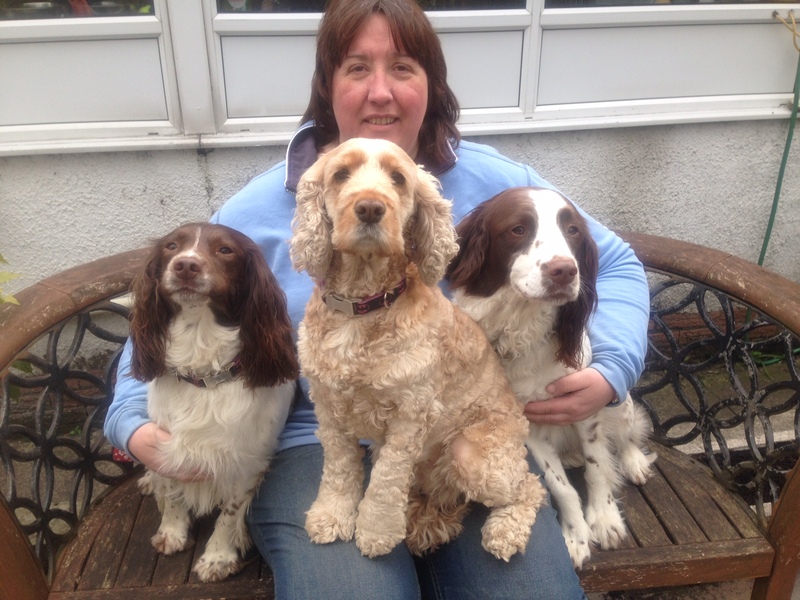 In addition to running Tynewater K9 I am also an Instructor with the not-for-profit Tynewater Dog Training and a Board Director for the Social Enterprise Paws for Progress CIC. I am the Scentwork UK Representative in Scotland and teach Dog Training Instructors in Scotland who are keen to offer Scentwork in their classes. I hold a Masters level qualification in Training and Development with a Post Graduate Certificate in Executive Coaching and am currently studying for a Foundation Degree in Canine Behaviour and have OCN Level 3 in the Principles of Dog Training. As a certified Fear Free professional my methods are progressive, scientific and reward based. I have undertaken a wide range of canine related courses including clicker training, homeopathy, nutrition, TTouch and first aid and have attended seminars with a number of world leaders in canine behaviour including Susan Friedman, Ken Ramirez, Emily Larlham, Kathy Sdao, Roger Abrantes, Ray Coppinger, Chirag Patel and Kay Laurence. My current dogs are all spaniels but I have owned a number of breeds and cross-breeds to date. I have trained my own dogs for Working Trials, Lowland Search and Rescue and general obedience and one of my spaniels has worked as a Therapet. I am currently a Puppy Socialiser for Medical Detection Dogs. I am active in rescue and a founding member of a Scottish Breed Rescue and help other rescues in Scotland and beyond wherever possible. I am a former Chairperson of Scottish Working Trials Society and former Kennel Club Liaison Representative for SWTS. I was the first Assessor in Scotland for the UK Tracking Dog Association. Dave has extensive experience in catering from previous roles and has practical knowledge of hazard analysis and gained an HNC in Food Safety & Hygiene. Dave is passionate about his dog treats and takes great care in choosing the right human-grade ingredients to create a balanced , healthy tasty treat for your dog. Dave is the Operations Manager which means he does all the hard work! He is often found out with the dogs and he has considerable experience of a range of breeds. He has completed a Nutrition course and attended seminars with Professor Daniel Mills, Dr Isla Fishburn, Nick Thompson and Al Bunyan. He is also a Canine First Aider. Dave provides valuable assistance in classes alongside his canine culinary duties. Hector is a 8 year old Springer Spaniel and was a rescue pup from NESSR who we brought home at 12 weeks old. His favourite pastime is to run at full speed! 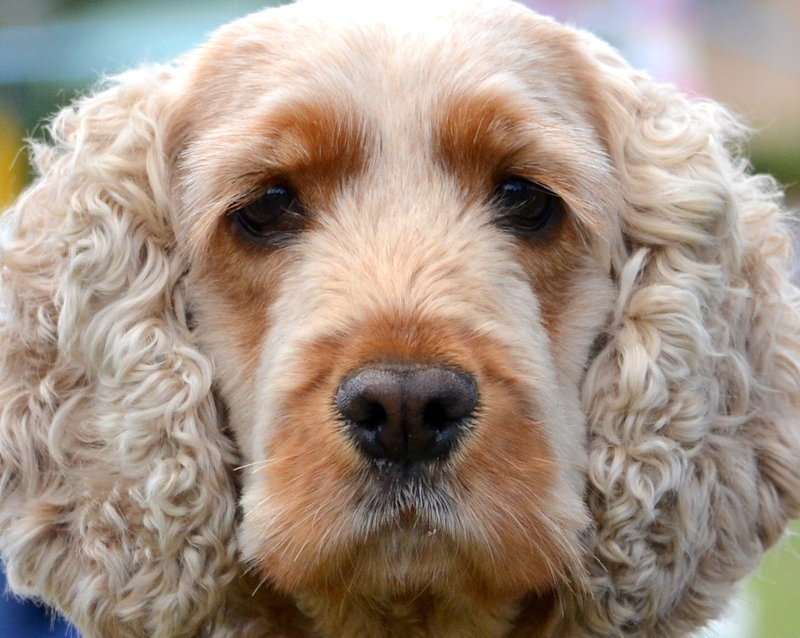 Maisie is a Cocker Spaniel and is 7 years old. We adopted Maisie from Dog Aid Society Scotland when she was 6 months old. Maisie loves to root about in the long grass and lie in the sun! 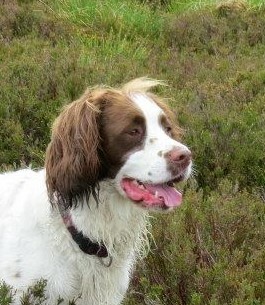 Millie is a 5 year old Springer we adopted from Springer Rescue Scotland. 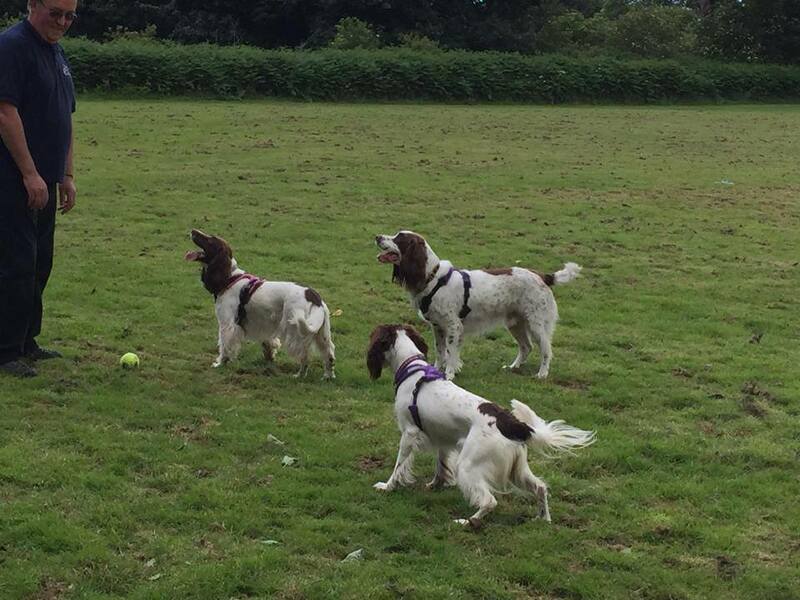 Millie absolutely loves her Kong Squeakair tennis ball and her favourite pastime is to run and fetch it, search for it or just sit with it! Millie is trained to hunt truffles! 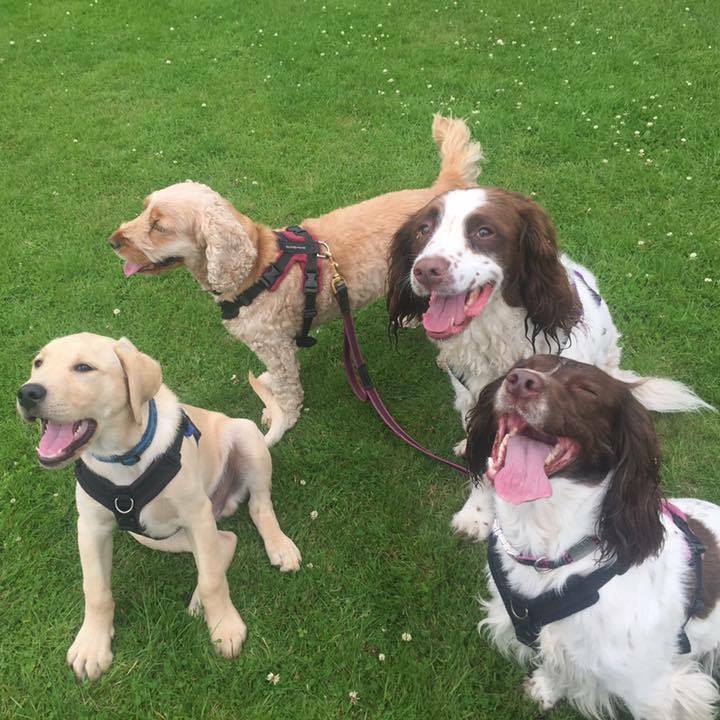 All 3 are Ambassadogs for the Paws for Progress Programme and often go into work in HMP Polmont to assist the programme participants in their learning. Millie and Hector love to do some tracking and both have passed their Level 1 UK Tracking Dog Assessment. Maisie and Hector have their KCGCDS Bronze and Hector has also passed his Silver test. 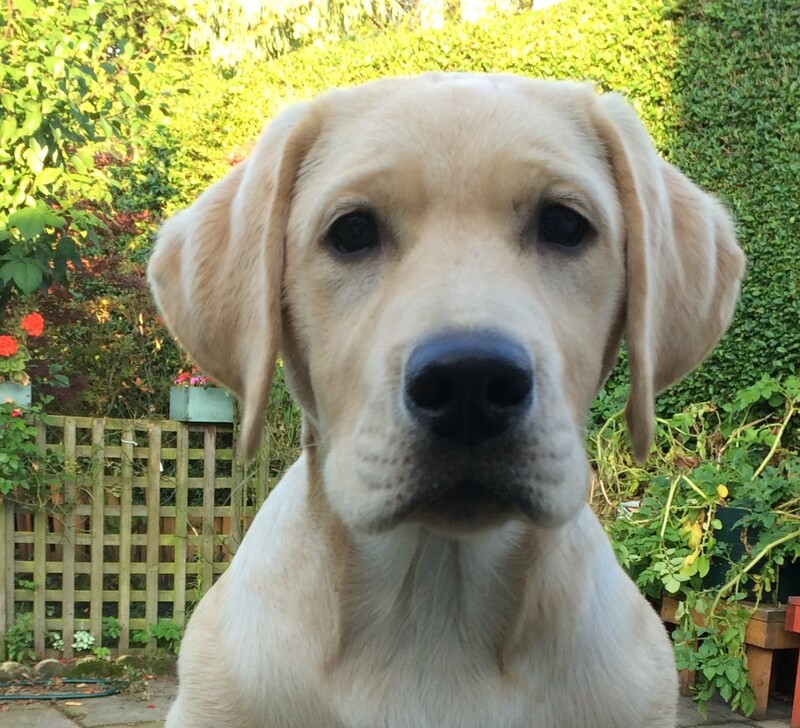 Ty is our 7 month old Labrador who is our temporary guest until he goes to complete his training with Medical Detection Dogs.